The Grinch is back! But this time, we’ll make sure there are too many trees for him to steal before Christmas! Send in your own little “Who” to paint a tree of their very own to light up the house for the holidays, and pass down everyone’s favorite story to a new generation! These trees are the perfect size for small, “Who” hands and can be painted however they see fit! Let your child create their own holiday masterpiece for all to remember for years to come. 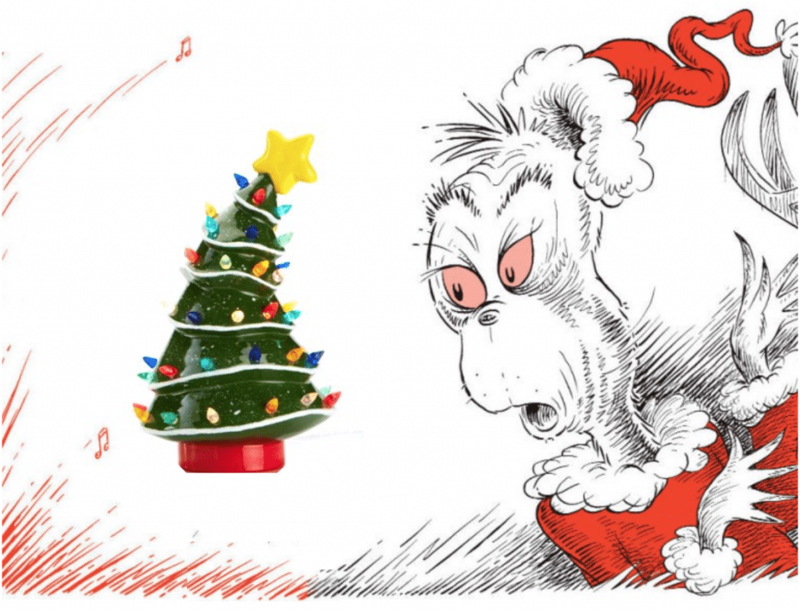 He’s a mean one, that Mr. Grinch, but his heart will grow three sizes after seeing your creations! Tickets are $40 and include: ONE “Grinch-y” Light Up Tree and admission for ONE child to the painting party! We will be serving cookies and hot chocolate after the trees are finished, so please let us know of any food allergies ahead of time! This is a drop off event, as seating is limited. If you would like to attend the party with your child, please call (828) 253-8181 (ask for Linda) or message us on Facebook! No refunds, cancellations made at least 24 hours in advance can be used as store credit at Fired Up!